The Hydroscaph H1 Chronometer is a formidable underwater exploring machine that sets a unique standard in the field of advanced technology. Beating to the pulse of extreme diving adventures, it is the ultimate embodiment of contemporary Haute Horlogerie cut out for exciting feats. 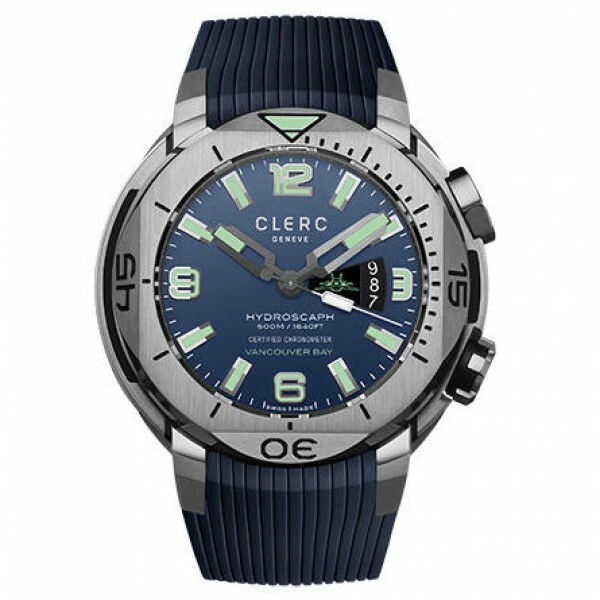 The ultra-complex case construction enables it to plunge as deep as 500 metres in complete safety thanks to Clerc’s exclusive patented safety features.